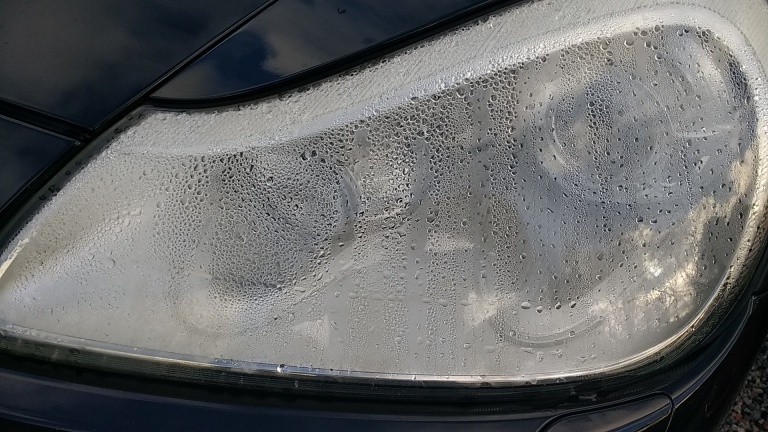 911uk.com - Porsche Forum : View topic - 07 facelift Cayenne S headlamps - excessive condensation? 911uk.com Forum Index > Cayenne (2003-) & Panamera (2009-) > 07 facelift Cayenne S headlamps - excessive condensation? Posted: Fri Jan 26, 2018 2:47 pm Post subject: 07 facelift Cayenne S headlamps - excessive condensation? Hi all. I recently took my 07 Cayenne S (facelift) into my local OPC for some warranty work. Whilst it was in there, OPC noticed passenger side dipped beam not working. Originally they thought it was the bulb, but turned out to be ignition unit failure (they are litronics). Both ignition units were replaced under warranty (apparently they only come as a matched pair). OPC also dried the headlamps out, checked ventilation holes were not blocked, tested headlamps, etc. However, less than 2 weeks later, and the first time I drove the car since getting it back from OPC, the passenger dipped beam has failed again and the following warning appears on dashboard - "system fault: headlamp". I'm assuming it's the ignition unit that has failed, but I haven't actually had this confirmed, as I haven't had time to take it back to OPC yet. 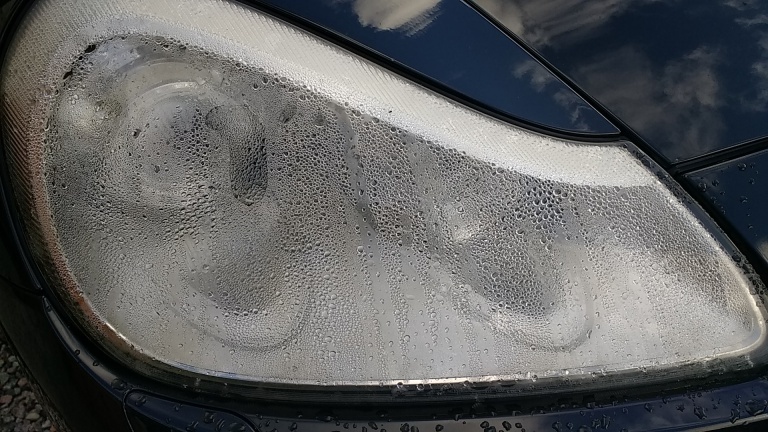 Both headlamps have what appears to me to be an excessive amount of condensation in them (see pics), which doesn't go away even with the headlights kept on for a couple of hours. Is this the likely reason for the original and subsequent ignition unit failures? I'm now thinking of fitting new headlamps on both sides to hopefully fix it for good. OPC have offered me a good discount on new units. Anyone got any thoughts or alternative suggestions? Condensation is not good on these .. The control unit for each light is underneath the headlight and water will enter them and basically kill them .. not cheap . Go back to OPC and say your not happy as the lights suouldnt be this wet .. it will cause problems if not fixed. Off hand without looking i cant say but that lvl of water is unacceptable and will cause problems. Thanks for the advice Demort. Hopefully the issue has been fully addressed with new headlights and ignition units that were fitted last week during the MOT. As you say, not a cheap fix!